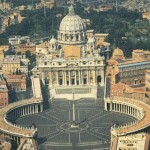 Are the attacks on the Vatican anti money-laundering law attacks against Holy See sovereignty? Benedict XVI had been defined «the last of Benedictins». As Saint Benedict, who in 529 founds the monastery of Montecassino and from there – with the ora et labora, the collections and copy of texts, founds a new civilizations, so Benedict XVI goes over the scandals and the human problems of the Curia and from the monastery of his thought, with his speeches and books, he gives his contribution to build a new civilization. This image would not completely fit to Benedict XVI. His reform is something more similar to Gregory VII. That of Gregorian reform is an heroic enterprise, brought on by a few man that works to re-moralized their society and so purify the Church. People gathered around Ildebrando of Soana begins a movement whose effect were so vast that a whole world change. Will this happen with the Benedict XVI’s Papacy? Elected Pope with the name of Gregory VII, Ildebrando do not only care about the purification and moralization of the Church. He also collect the ancient sources, so creating a corpus of papers that will be the first global law of the world, the Canon Law. More, he defends the autonomy of the Church. In Dictatus Papae, Gregory VII affirms the supremacy of the Pope on any other power, the imperial one included. Then, he organizes the Pontifical Legates network. He establishes two kind of Pontifical Legates: the one in loco, charged by the Pope to look after the application of Gregorian reform on a territory; and the one sent by Rome to accomplish mission in a foreign countries. The defense of the autonomy and sovereignty of the Church is also brought on, during the Gregorian Age, by creating new canonic collection. Gregory VII auspicates the research of the sources of the law, and so many researchers look for documents that affirms that the Papal authority is the source of the law. This research will bring to light the writings of Attone, Anselm from Lucca, Deusdedit. It is the work Benedict XVI is doing as well. Joseph Ratzinger began his theological research with his Doctoral thesis on the «People of God and House of God in Saint Augustine’s Doctrine of the Church» – defended in 1951 -, and he has always been aware that he needed to look back to the Church, and then he understood that the Church needed to be less worldy, and that being less wordly means to change and unify. Finally, the Canon Law is the tool that the Church has to do it. Benedict XVI wants to focus on Canon Law, and this is one of the reasons why the Secretary of State is a Canonist and the last Papal nuncios appointed is Charles J. Brown, a non diplomat that served for years in the Congregation for the Doctrine of the Faith. This comeback of the Canon Law is driving the Benedict XVI’s choice for what concern international relations, and even for what concern its commitment for financial transparency. This led to a renewed Vatican anti-money laundering law. Not everybody had been happy about it, inside and outside the Vatican Walls. Why? There had been no modification to the Decree n. 159 issued by the Pontifical Commission for Vatican City State. The last 25th of January, Holy See issued the decree n. 159 to amend the Vatican City State Law n. 127 concerning the countering of money laundering and financing of terrorism. As the art. 7 of the Fundamental Law of Vatican City State, the President of the Pontifical Commission for Vatican City State «in cases of urgent necessity, he can issue dispositions having the force of law, which however lose their force if they are not confirmed by the Commission within ninety days». The Commission confirmed the decree and – beyond whatever it has been written and told during these last three months – there were no doubts about it. Ever since the Law n. 127 had been issued, the Governatorate knew that this law had been written in a hurry, under the pressure of the investigation of the Public Prosecutor of Rome on two money transfer ordered by the I.O.R. (the Institute for Religious Works), and with the necessity to fully comply to the norms required by the European Union in the Monetary Convention signed by the Holy See in 2009. Yet while Holy See and European Union were discussing the terms of the Monetary Convention, the then number two of Vatican City State Carlo Maria Viganò showed himself doubtful about what the on-going discussion was going to ask to the Holy See, and proposed to unhook the Holy See by Euro area, in order to preserve its sovereignty. The law n. 127 reassured Italian prosecutors, but on the other hand it did not completely fit to the international standards. 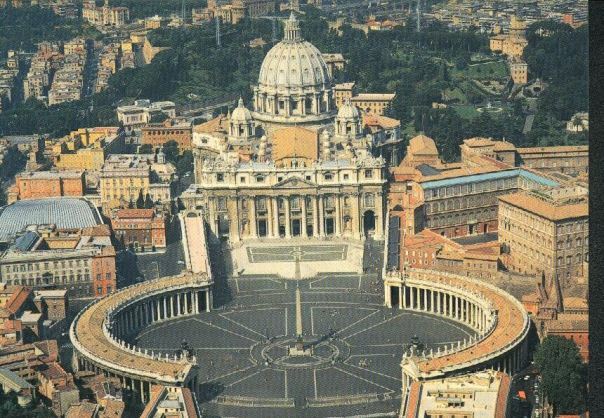 The decree was an improvement of the law promoted by the Vatican City State administration in order to fit to international standards and at the same time to let them adhere to a peculiar State that is Vatican City State, while preserving the Holy See sovereignty. Yet, during these last three months, Italian medias highlighted several rumors coming from «inside the Vatican» against the improvement of the law 127. Il Fatto Quotidiano – one of the most prominent and aggressive Italian newspaper – published a series of leaks of reserved documents. Among these documents, there was also an e-mail sent by the Director of the Authority for Financial Information Francesco De Pasquale (the controller) to the president of the Council of Superintendency of the I.O.R. (the controlled). This documents proved a questionable relationship between two parts of the mechanism of control of the Holy See, and at the same time proved that an animated debate took place within the Sacred Walls about the improvement of the Vatican Law n. 127. It had been also leaked to Il Fatto Quotidiano a notation by cardinal Attilio Nicora, president of the Authority for Financial Information (but also member of the Council of Superintendecy of the I.O.R., member of the Commission for the Governatorate of Vatican City State and member of the so-called Council of 15, the assembly of 15 cardinals that periodically meet to take stock of the Vatican financial situation). In this notation, Nicora described the amendments to the Law n. 127 as “step behind” confronting with the previous text, which he blessed and promoted. More. The last March, the 19th, an article published on Il Corriere della Sera, the most spread Italian newspaper, let understand that Nicora himself was working to rewrite the text of the decree n.159, in order to bring the law back to the “old” law n. 127. The article proved that – inside the Vatican – the debate never ended. The amendments to the Law n.127 had been requested by the advisors of MONEYVAL, the body of the Council of Europe that analyze and judge the adherence of the States to the 40+9 GAFI recommendations for contrasting money laundering and financing of terrorism. Marcello Condemi, a member of the Vatican Authority for Financial Information and draftsman of the first sketch of the old law n. 127, worked on a second sketch of the law right after the first on site visit of the MONEYVAL advisors in Vatican, that took place in November 2011. Several debates within the Sacred Walls followed. Finally, with the decree n. 159, the law n. 127 had been essentially modified. The “new” law n. 127 is now more adherent to international standard. It strengthens the power of controlling of the Authority for Financial Information, but at the same time distributed the controlling powers on several bodies of the Holy See, according to the principle of the separation of powers (even the Gendarm Corps is now encouraged to strengthen its intelligence in order to take part to the countering of money laundering with proper tools of investigation). It gave to the Vatican Secreteriat of State the complete management of the relationships between States – «The Secretariat of State – it is written in the decree n. 159, art. 2 quinquies – foster the adhesion of the Holy See to treaties and international agreements, as well as the relations and the participation of the Holy See to institution and international organization qualified to define norms and good practices for what concerns the prevention and countering of money laundering and financing of terrorism». That the effort of the Holy See had been to adhere to international standards for what concerns the countering of money laundering without denaturalize its own institution is evident when – in the decree n. 159 – the procedures to take into consideration the list of terror organizations issued by the Security Council of United Nations. According to the law n. 127, Holy See does not mechanically transpose the United Nations Lists. This choice is aimed to preserve the Holy See and Vatican neutrality. In fact, lists are written under the «Chapter 7» of Charter of the United Nations, and that Chapter is applied in war time. Holy See could be embarrassed by a mechanical transposition of the lists, since it could be in contradiction with the Holy See orientation – Holy See is traditionally neutral and in favor of peace. Since Holy See is a Permanent Observer to the Assembly of United Nations, and not a Full Member, a settlement has been made to the autonomy of the Holy See: the Vatican Secretariat of State – according to the new article 24 of the law n. 127– will draw up its own list of terror organizations that will be based on the one issued by the United Nations, so keeping its autonomy, and at the same time showing to be sensitive to the international security goals. Holy See so maintain its autonomy, but at the same time proves sensibility to the international security goal . Is there a biggest target? Maybe there is a biggest target on the basis of the polemics that followed the one the another from the moment in which the Holy See began the process enrolled in the «White List», the list of states most active in preventing and fighting the financial crimes.. The critics to the lack of transparency of Vatican finance would hide a sort of attack to the sovereignty of the Holy See itself. Documents leaked by the press – the so-called Vatileaks, that are now under the investigation of a commission made up of the cardinals Herranz, De Giorgi and Tomko – prove that the «sovereignty issue» has never been taken into consideration by the «step behind» theorists. The leaks are about the retroactivity of the «new» law n. 127; about the will to cooperate with Italian investigators; about a diligence toward Italian authorities that led Ettore Gotti Tedeschi to be voluntarily questioned by the Italian magistrates without these latter submitted the request internationally. Yet, Paolo Cipriani, General Director of the Institute for Religious Works, explained – during one of the seminars periodically held by the I.O:R. to train the administrators of the Congregation with deposits in the «Vatican bank» – that the Institute has always responded to any request submitted by Prosecutors or Central Banks. The responses by the Holy See, Cipriani explained, had come formally – there had been during the last ten years 20 requests submitted internationally to the Holy See (it is a global data, it does not concerns the only I.O.R. ): 19 had been fulfilled by the Vatican City State, the last one has been judged by a Vatican Court – and not formally, for a sort of «good neighborhood relationships» with the other financial institutes. Holy See – Cipriani also underlined – did not answer in the only case the request would be considered a vulnus to its sovereignty. It is now time to see things from a wider perspective. The announcement of the improvement of the law n. 127 has been launch in the Osservatore Romano, the newspaper of the Holy See, in an article by msgr. Dominique Mamberti, the «foreign minister» of the Holy See. Mamberti linked the news of the improvement of the law n. 127 to the ratification by the Holy See of three international threaties – the news about the ratification had been given the 25th of January as well. Holy See adhered to and ratified the International Convention for the Suppression of the financing of terrorism(Onu, New York, 1999) and the United Nations Conventions against the transnational organized crime (Palermo, 2000). Holy See also announced the ratification of the United Nations Convention against illicit traffic in narcotics drugs and psychotropic substances (Wien, 1998): this latter Convention had been already signed by the Holy See when it had been adopted by United Nations. It’s a long time that the campaigns to expell Holy See by the concert of Nations – as the See Change campaign – broke down in the public opinion. In 2007, The Economist – one of the most authoritative magazines in the world – published an article headlined “God’s ambassadors” about the Vatican diplomacy. The article ended with this advice for the Holy See: «It could renounce its special diplomatic status and call itself what it is – the biggest non-governmental organization in the world». Within the bureaus of the United Nations and of the other major international organization in which the Holy See seats as an observer, the idea to expel Holy See from the concert of nations is widely spreads. Even if this idea did not succed, and – on the other hand – on July 2004 the General Assembly of United Nations approved a resolution that not only confirm, but even enhanced the presence of the Holy See within the United Nations. So, a more subtle strategy began. This strategy – brought on in international environments – aims to undermine the moral power of the Catholic Church and of religions in general. It consists in remarking that religious freedom is something like the freedom of expression, or in confusing the religious freedom with the freedom of worship. Vatican diplomacy is undermined, too. If Italian Prime Minister Mario Monti caused an «earthquake» at the Italian Ministry for Foreign Affair by showing his intention to appoint ambassadors not raised up with a diplomatic career, Vatican insiders refer about the intention to appoint lay people as diplomatic representative of the Holy See. Pontifical Legates must be bishops, since they represent the Pope. This rule is valid and effective only for Papal nuncios: they work as Papal ambassadors, they keep relationships with the governments, and at the same time they work as bishops, speaking to the Episcopal Conferences of the countries they are appointed at, give their opinion about the to-be-appointed bishops. Nuncios that are appointed as permanent observer within the International organizations (United Nations, U.N.E.S.C.O., F.A.O., European Parliament) must only care the relationships between the Holy See and the governments. This would open to the appointment of lay people as permanent observers of the Holy See. Could this be the beginning of a weakening of the Vatican diplomacy? In the book C’era una volta un Vaticano (Once upon a time a Vatican), Massimo Franco, underlines this lack of international appeal of the Holy See. Too appeased on Italy and on its relations with Italy – Massimo Franco writes .- the Holy See lost sight of its wide global horizon that made of it the most long-lived and solid institution in the world. Canon right is the first really global and globalized law of the history, and it still consists in a solidity that no friendly diplomatic relations would touch. This same problem spoiled the path to the Vatican financial transparency. Holy See borders are not anymore with Italy, but with the whole Europe. Yet, the members of the Authority for Financial Information are all Italian, coming from the Bank of Italy milieau – even if the Bank of Italy proved a certain hostility toward the Holy See (the investigation of the Roman prosecutors undermined the Holy See sovereignty, since prosecutors asked for information to the Financial Intelligence Unit of the Bank of Italy – which should be independent – instead of investigating with the Guardia di Finanza). The “old” law n. 127 would have probably solved the “judicial” problems with Italy, but certainly it would also set back – if not avoided – the Holy See path to the white list. The Plenary Assembly of MONEYVAL will meet the next July, and on that occasion the report about Holy See will be issued. It will not be at that moment that the Council of Europe will decide about the enlistment – or the not enlistment – of the Holy See among the virtuous States. But probably, the possibility to be part of the white list would have been more difficult without the improvement of the law n. 127, that the MONEYVAL advisors auspicated. 5 Responses to Are the attacks on the Vatican anti money-laundering law attacks against Holy See sovereignty? Changing of laws can also effect the anti money laundering and country.Hackers are always ready to break the laws and attacks over economy by using their skills. this subject? I’d be very grateful if you could elaborate a little bit further. Cheers! Greetings from Florida! I’m bored at work so I decided to browse your site on my iphone during lunch break. I really like the info you present here and can’t wait to take a look when I get home. I’m shocked at how fast your blog loaded on my phone .. I’m not even using WIFI, just 3G . on this, what if you were to create a awesome headline? I ain’t saying your information is not good., however what if you added a post title that grabbed people’s attention? on the Vatican anti money-laundering law attacks against Holy See sovereignty? | MondayVatican is a little boring. You ought to glance at Yahoo’s home page and see how they create post titles to grab people to click. You might try adding a video or a related pic or two to get people interested about what you’ve written.